Photo: 11-year-old Madison Meeks (left) and her friend at Port Republic’s Community Day. 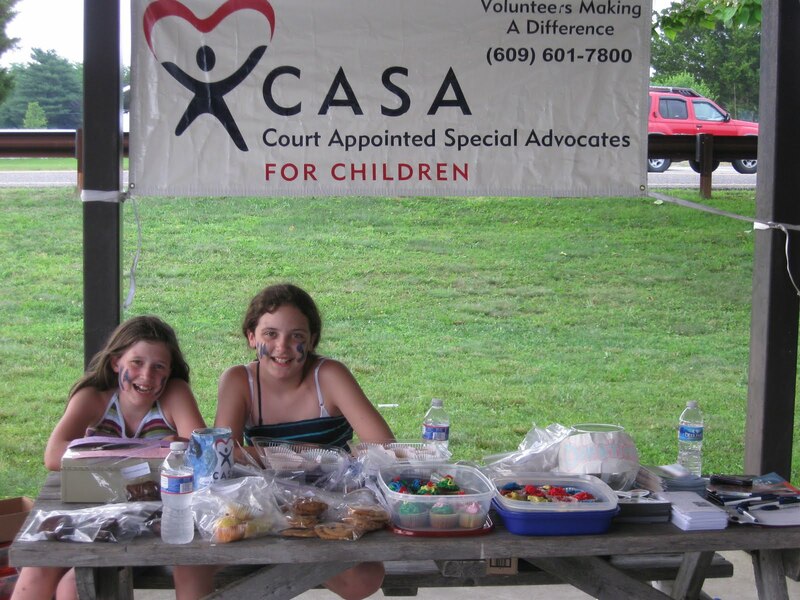 Madison sold bake goods to benefit CASA for Children of Atlantic and Cape May Counties. For 11-year-old Madison Meeks, baking isn’t just about the cookies and cupcakes; its about raising money for a good cause. Madison is in her second year of “Cookies for CASA,” where she sells baked goods to raise money and awareness for CASA for Children of Atlantic and Cape May Counties. This past weekend, Madison put her baked goods to the test when she set up shop for her hometown of Port Republic’s Community Day. There she sold an array of baked goods including cupcakes, lemon tarts, brownies and cookies. In all she raised $282.00 for CASA! All the goods where handmade by Madison and her friends. Thank you Madison for donating your time and good cooking to CASA! To view photos of the event click here. Johnny Rockets Blast from the Past Car Show a Success! This weekend, CASA was the beneficiary of the Johnny Rockets “Blast from the Past” Car Show. The event, which took place at the Hamilton Mall in Mays Landing, raised over $200 for CASA for Children. The day was jam-packed full of events for kids and families. There was face-painting, balloon animals, free milk shake samples and even dancing! The event made the Channel 40 news! To watch the video click here and to view photos of the event click here. Thank you to Johnny Rockets, for hosting the event and to all the volunteers from CASA who helped out for the day!